Are you looking for cheap tour package in Macau for you and your family? You can enjoy a 3-day and 2-night accommodation in Macau, China for only P19,996 or a whopping 51 percent off from the original price of P40,950. So cheap right? Macau is one of the busiest tourist spots right now. You’ll surely enjoy not only the modern sites of the city, but also the historic and cultural sites of the region. Check out this site to view more about the deal. Picture taken from my other blog. 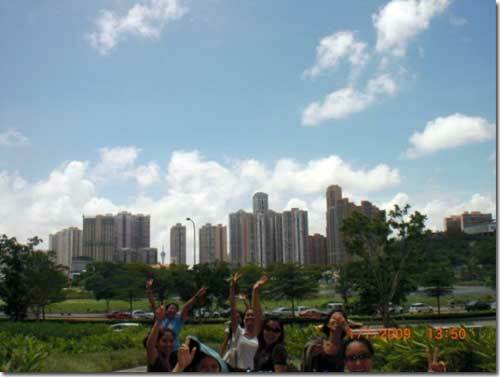 This entry was posted in Best deal and tagged cheap macau travel, cheap macau trip, cheap tour package, macau flight, Macau travel on September 26, 2011 by Mommy Yam. Hi I started a same niche blog on discounts, sale, bargain hunts and such. Hope u visit me back. Followed u thru GFC and FB too! Macau is one of my dream destinations. I never got the chance to visit the place even though I have been to HOng Kong several times already. the one being offered is still expensive, you can make your own itinerary for a cheaper budget. macau is very small island and most shuttles there are free.